Jim Plunkett won the Heisman Trophy in 1970 at Stanford and was the #1 overall selection in the 1971 NFL Draft. He joined the Raiders in 1978 and led the Silver and Black to two World Championships of Professional Football with victories in Super Bowls XV and XVIII. 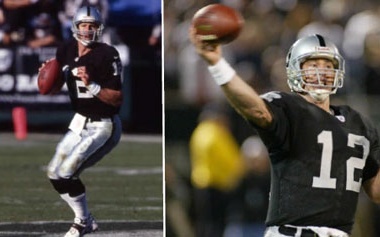 Plunkett was named Most Valuable Player in Super Bowl XV, a 27-10 victory over the Philadelphia Eagles. He set a then-record with an 80-yard touchdown pass to RB Kenny King. He was also named t..